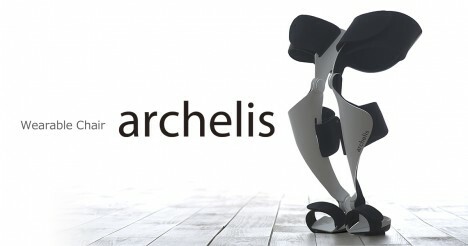 The Archelis is a ‘wearable chair’ designed for professionals who cannot afford to take a seat, unless they take it along with them, like surgeons working around an operating table. Consider any job that involves a lot of standing or walking, like a barista at a coffee shop or bartender at the pub or painter at his easel. Even an everyday commuter on the busy subway could benefit. 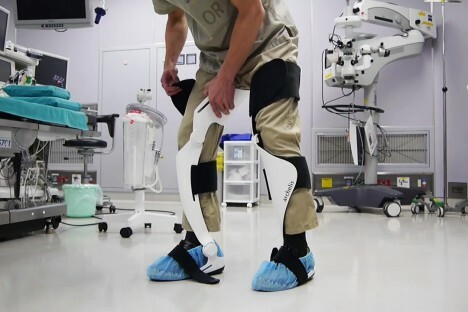 The device wraps around a user’s legs, looking like an integrated pair of braces, but locking into position to provide support on demand, even while the user is effectively half-standing. 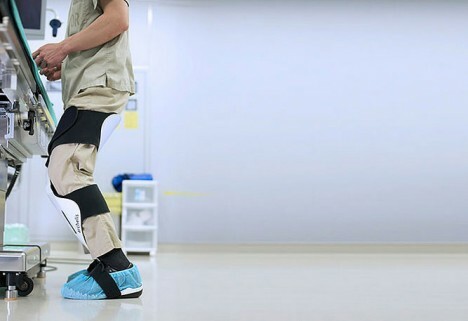 There are a lot of potential other applications as well, for elderly or infirm persons, but also perhaps, as they are further refined (less bulky), simply for everyday use, letting us all walk around and ‘sit’ whenever we want.